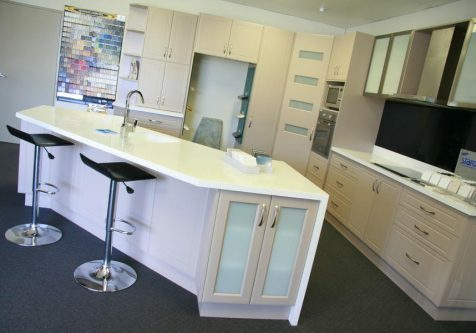 From Corian to Staron benchtops, we supply a wide range from trusted brands. 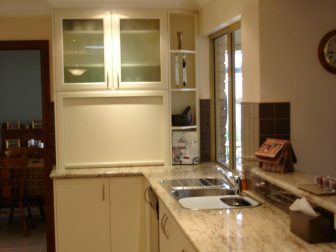 Hollywood Kitchens provides top quality kitchen benchtops in Perth that can help create a whole new look for your kitchen or bathroom. 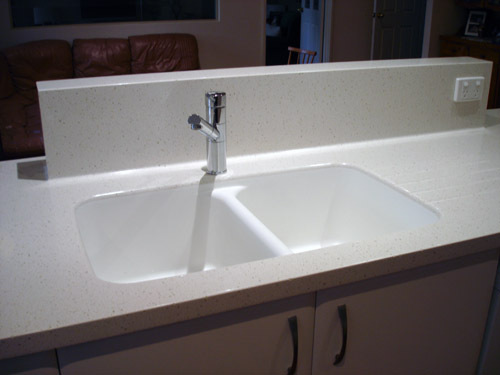 We consider it important to help you find a countertop that is aesthetically pleasing, useful and within your budget. 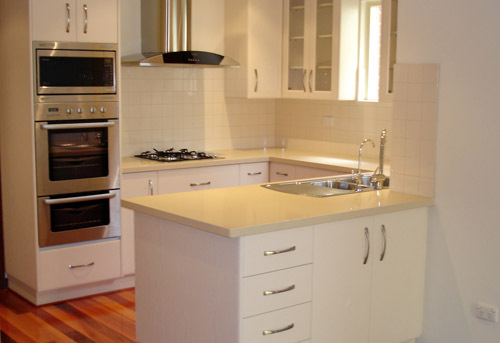 We source benchtops from trusted manufacturers that guarantee competitive rates. 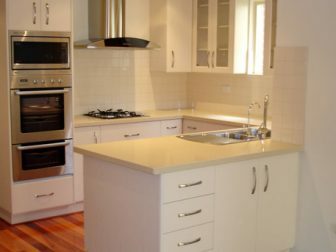 Contact us today for a quote or view some of the kitchen benchtops previously installed in our renovation projects in our kitchen gallery. 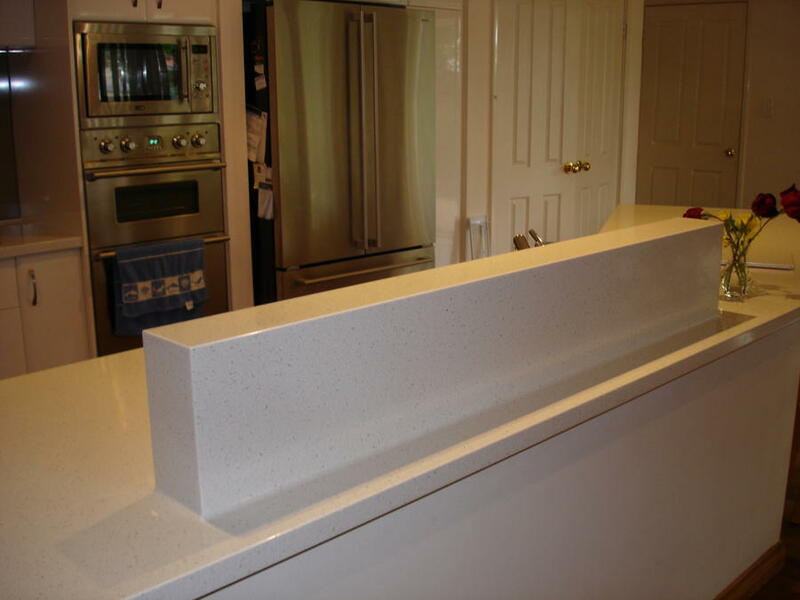 Corian benchtops are durable and versatile, combining natural minerals and engineered acrylic for strength. It’s non-porous, easy to clean and impermeable to moisture, making it an extremely durable and long-lasting surface. 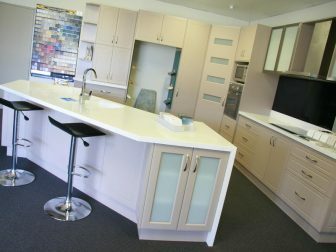 Available in a wide selection of colours, Corian is one of the most attractive, hygienic and environmentally friendly kitchen choices around. 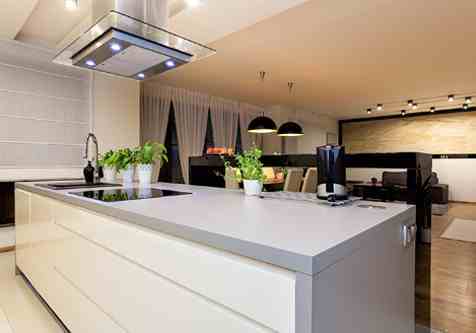 Staron benchtops are unified, stain-proof surface materials designed and manufactured by Samsung. 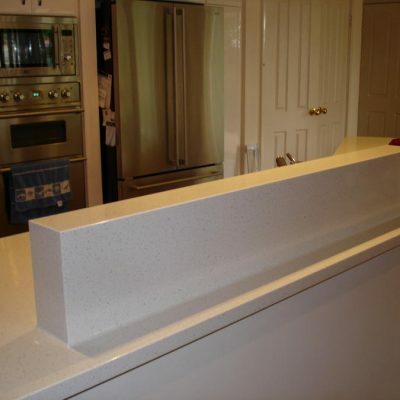 It is produced in over 60 colours and designs, and works well because it is an extremely versatile benchtop surface. 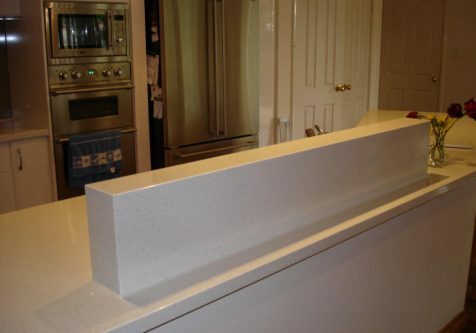 It can be moulded into any edge profile, including drop-down edges and splashbacks. 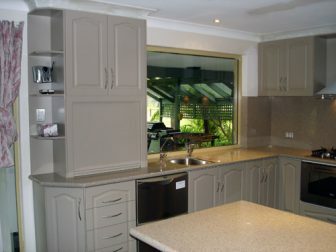 Natural granite benchtops are the classic choice for kitchen countertops, presenting a clean, elegant look. 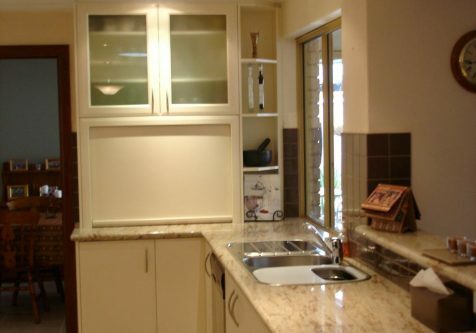 When properly sealed, granite benchtops are long lasting, durable and attractive. 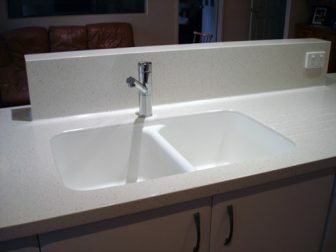 Available in a variety of colours, granite complements modern and classic décor, and requires very little maintenance to keep the surfaces free of stains and discolouration. 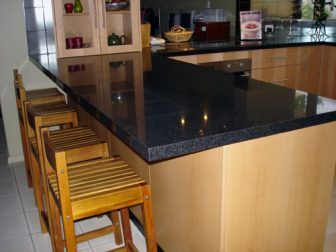 Minimal maintenance is required to keep natural granite surfaces free of stains and discolouration. 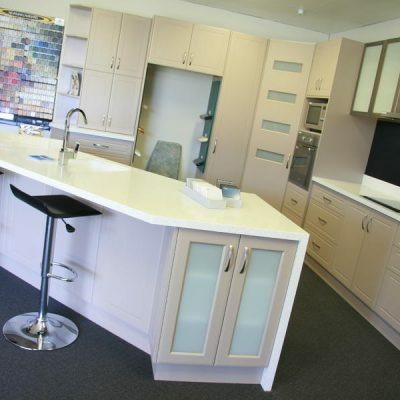 Contact us for more information, or drop into our showroom today. 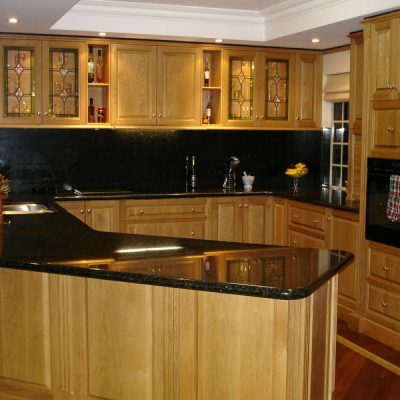 At Hollywood Kitchens, we source a range of reconstituted and engineered granite surfaces. If you want the granite look without the price tag, then engineered stone is the ideal option. 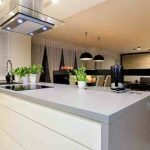 It is a popular choice for kitchen and bathroom countertops, as it combines the look and feel of granite with strong acrylic material. 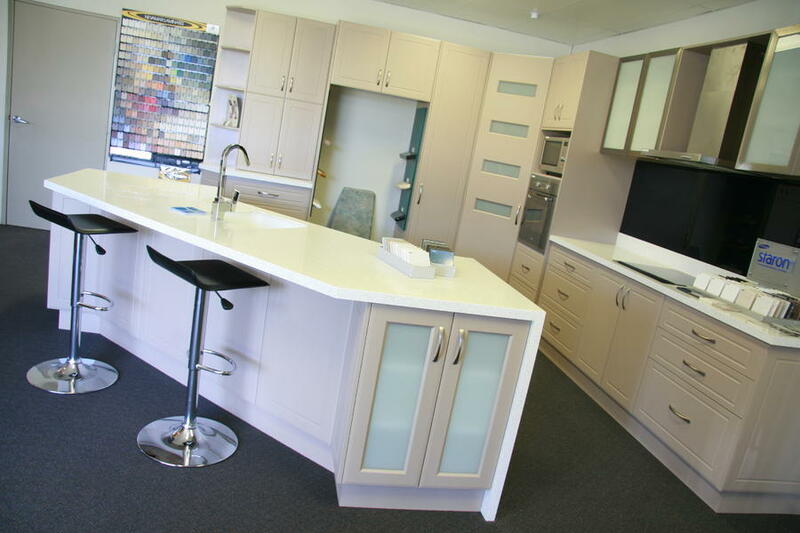 We’re proud to offer Silestone and Caesarstone benchtops, brands which are popular and reliable. 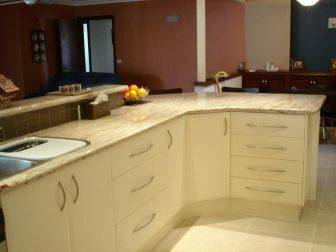 Laminate is a hardwearing decorative surface suitable for both horizontal and vertical interior applications. 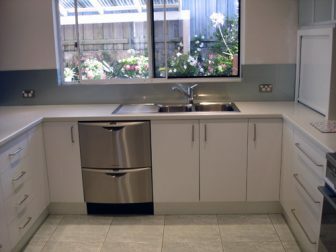 Laminate kitchen benchtops are the most cost-effective solution, and available in an array of colours and finishes, including matte and textured. 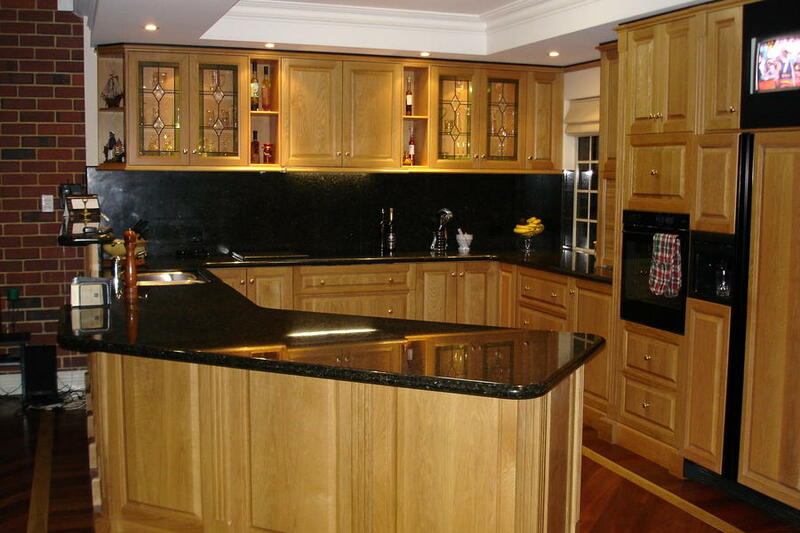 This type of material suits mainly classic and traditional-looking areas. Laminated benchtops also come in a range of fascia styles, including post formed, bullnose, square edge, ABS edge and solid timber edge. 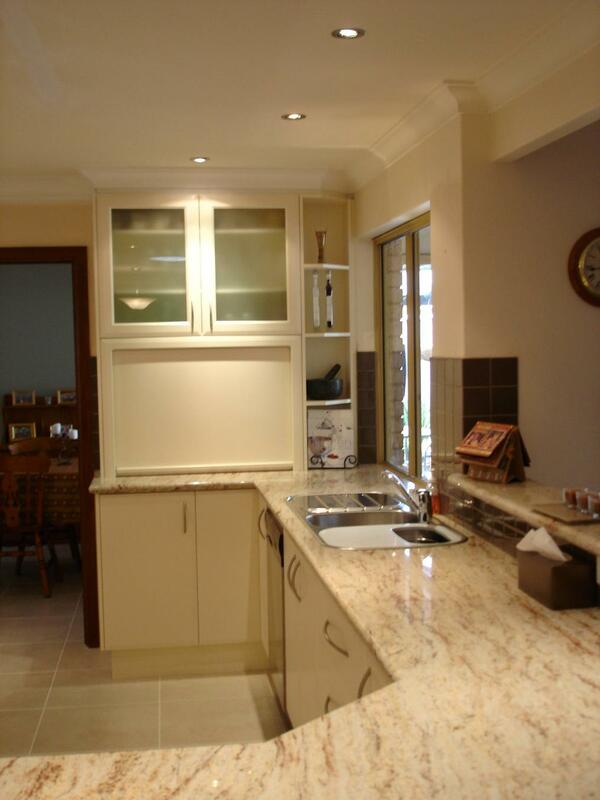 We’ll help you find benchtops that suit your needs and budget. 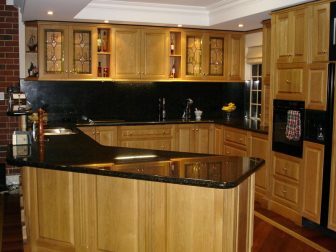 A large portion of the price depends on how much the material needs to be processed and treated before it becomes a finished product. 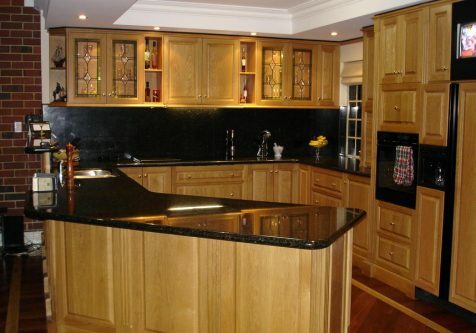 Granite is one of the more expensive materials while laminate is one of the most affordable. 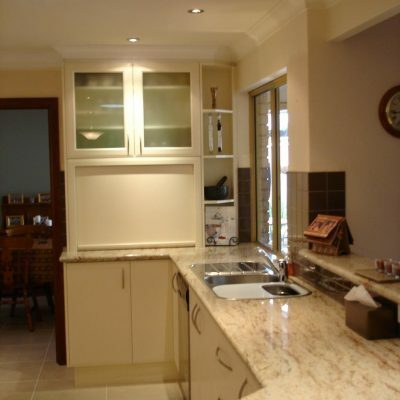 The deciding factor for choosing benchtops usually comes down to your budget. 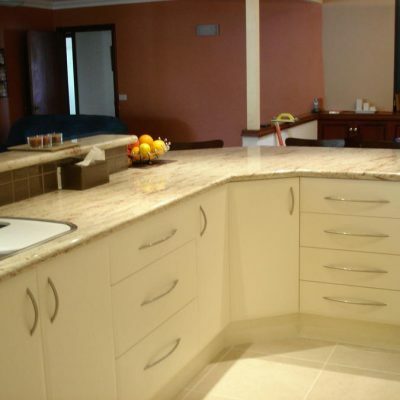 With our all-inclusive service, there are absolutely no middlemen – our qualified team takes care of everything, from design and structural alterations through to installation. 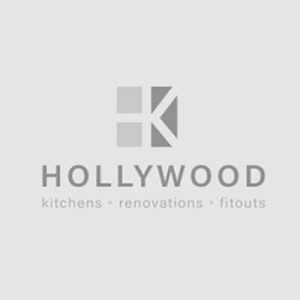 For a wide range of quality benchtops, contact Hollywood Kitchens.